As it gets ready to head into production next month, Sony’s remake of The Grudge is beginning to firm up its cast. According to Deadline, the studio’s now added “two-time Oscar nominee Jacki Weaver, Betty Gilpin, star of the Netflix series GLOW, William Sadler, and Frankie Faison.” They’ll join Andrea Riseborough, Demian Bichir, John Cho and Lin Shaye, making for a pretty strong line-up of talent. Pitched as a “reimagining” of the cult horror classic, we understand Nicolas Pesce is directing from his own script. The Grudge is also bolstered by some serious film pedigree behind the scenes, given Sam Raimi and Rob Tapert have agreed to produce the movie on behalf of Ghost House. If that banner sounds familiar, it should; Ghost House last collaborated with Good Universe and Sony for Fede Alvarez’s spooky domestic thriller Don’t Breathe, so their involvement certainly bodes well here. 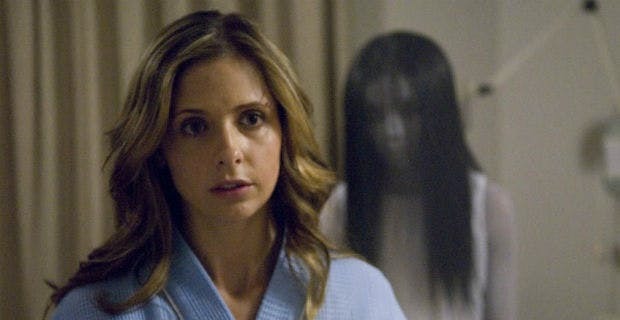 As for when The Grudge will be with us, we’ve been told that the studio’s pegged it for August 16th, 2019. Little is currently known about the plot, of course, but it’s safe to assume that Ghost House Pictures’ reimagining of The Grudge will chronicle the titular entity as it moves from one grief-stricken victim to another, leaving a trail of dead bodies and nightmarish terror in its wake. Plus, as Sam Raimi’s already told us, they’re going back to the original source material, which sounds like the right move. That being said, it’s not like anyone was really asking for a remake of The Grudge, but based on the name recognition alone, we’re sure it’ll bring in more than enough money to justify producing it. Whether or not it’ll be any good is another question entirely, of course, but at least they’re off to a solid start with the casting.